Area: Trail access is via the northern part of Smith River National Recreation Area. Driving distance from Gasquet: 25 minutes to lower trailhead, 55 minutes to upper trailhead. Directions to Trailhead: From 7.7 miles east of the NRA Visitor Center in Gasquet, turn from Hwy 199 onto Patrick Creek Road (316), just to the east of the Patrick Creek Lodge. Continue 3.6 miles and cross over a bridge and veer right onto Holiday Rd (315). Park on the left, trailhead is on the right. Shuttle: Continue up Rd 315 another 5.8 miles to the upper trailhead on the right. High clearance vehicles and/or 4WD recommended on 315. High Dome Trail is a multi use trail allowing not only hikers, bikers and horses, but motor bikes as well. All trail users should keep this in mind and use slow speed on the trail to avoid collisions around blind corners. 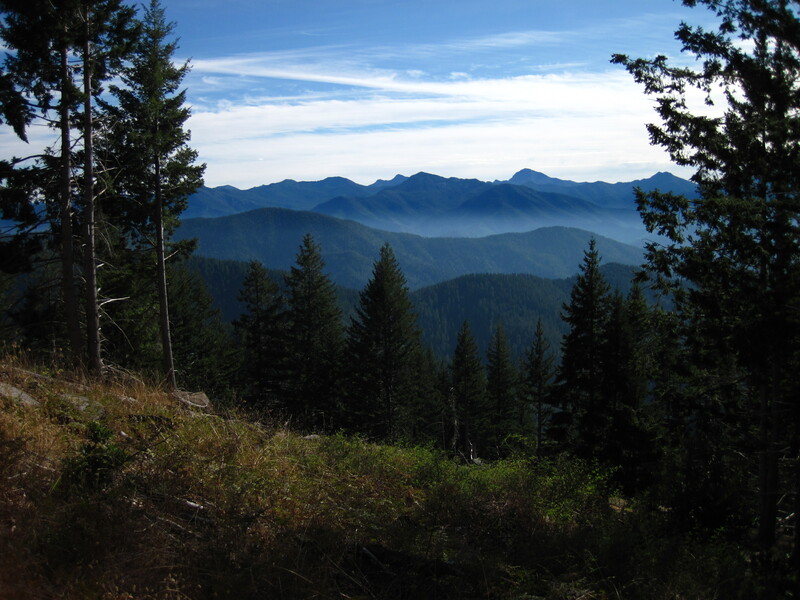 In the fall or spring, when the temperatures are cool and the air has been cleared by rains, the High Dome Trail is an ideal hike that will lead you to a unique meadow with views ranging from the ridges of the North Fork Smith River to Preston Peak. The High Dome Trail is a one way trail ascending the ridge between the East and West forks of Patrick’s Creek. The trailhead is about four miles up Road 316 which leads north behind the Patrick’s Creek Lodge and follows Patrick’s Creek. The lower trailhead begins the trail by crossing the eight foot wide creek on strategically placed rocks. Patrick’s Creek is one of the largest tributaries to the Middle Fork Smith River and exemplifies the core qualities of the Smith River with its clear, cool, clean water. The Creek provides excellent spawning habitat for salmon steelhead with miles of low gradient streambeds spawning and year round habitat for resident fish. The point to point trail is accessible from either end, and with two vehicles can be walked one way instead of out and back. This is something to consider if a steep steady four mile climb doesn’t appeal to you. 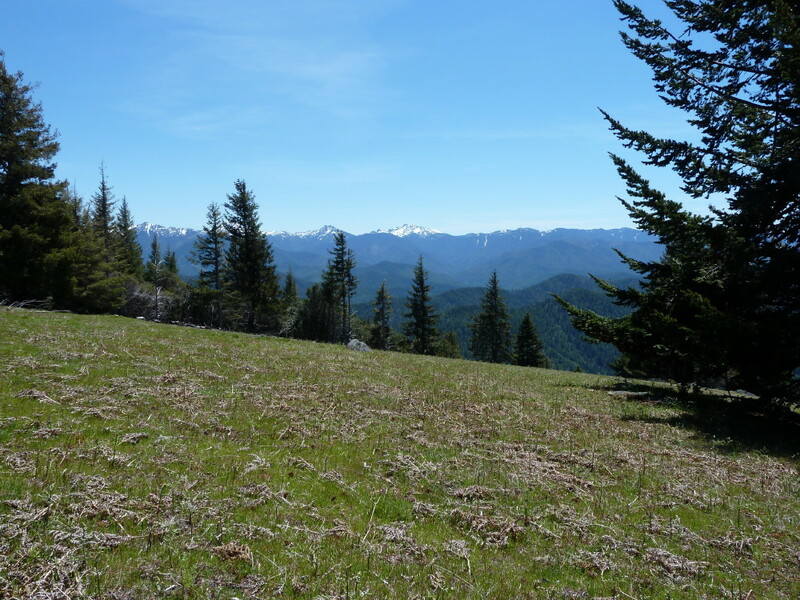 If you are interested in a short walk, but would like to take in the view from the High Dome meadow and visit the old fire lookout site, park at the upper trailhead. Starting at the upper trailhead will place you within a mile of both the meadow and the lookout. The trail from the upper trailhead leads through scraggly canyon oaks and Douglas fir forests on an undulated path. There are markers on trees to point out the direction of the spur trails that lead to the lookout and meadow. The first spur you reach from the upper trailhead is to the lookout. The quarter mile spur leading to the lookout winds around the top of High Dome Mountain and ends at a clearing. 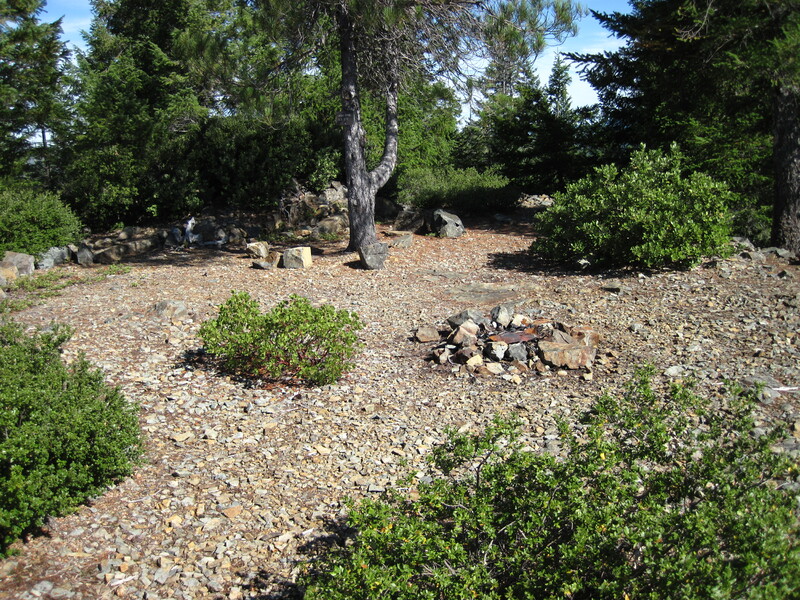 Nothing remains of the lookout building but a level rocky area with a fire ring, a few Manzanita bushes and a sign on a tree labeled “High Dome L.O. 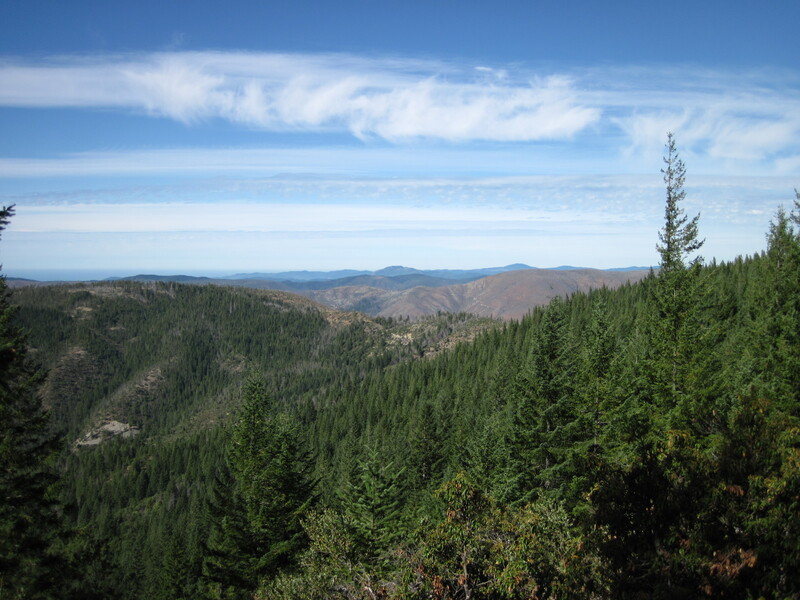 site.” Young Douglas fir trees have grown up around the lookout site partially blocking what was once a 365 view of the Siskiyou Mountains surrounding the area. Back on the main trail another spur less than a quarter mile away leads to High Dome Meadow. In the fall this meadow is filled with knee high bracken fern that have been baked brown in the summer sun. Views span from Preston Peak in the east across the Middle and South Fork Smith drainages and extend over Elk Camp Ridge to the west and into the drainage of the North Fork Smith. Barren brown mountainsides in the North Fork drainage are evidence of the 2002 lightening sparked Biscuit Fire, named for nearby Biscuit Creek. This wildfire burned more than 500,000 acres in southern Oregon and Northwestern California. 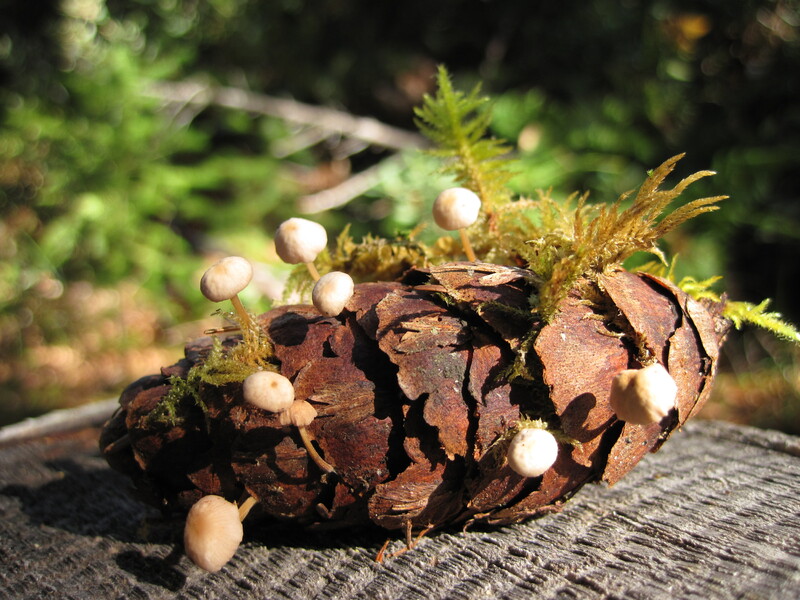 If continuing on the trail after visiting the meadow prepare for a long steady descent, first through a Douglas fir clear cut at the edge of the meadow and then down through mixed hard wood and coniferous forests dominated by canyon live oak and Douglas Fir.